Hermann Kopetz received his PhD in physics sub auspiciis praesidentis from the University of Vienna, Austria in 1968. 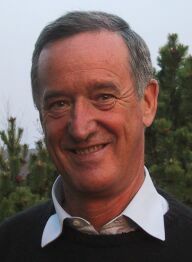 After eight years in Industry he accepted in 1978 an appointment as a Professor for Computer Process Control at the Technical University of West-Berlin, moving to the Technical University of Vienna in 1992. Kopetz is a full member of the Austrian Academy of Science, Fellow of the IEEE, and is a member of the Information Society Advisory Group (ISTAG), advising the European Commission in Brussels in the domain of Information Technology since 2008. In June 2007 he received the honorary degree of Dr. honoris causa from the University Paul Sabatier in Toulouse, France. Kopetz is the chief architect of the Time-Triggered Architecture for dependable Embedded Systems and a co-founder of the company TTTech that has industrialized the time-triggered technology in many reputable projects, among others in the Boeing 787 Dreamliner and the Audi A8 premium car.